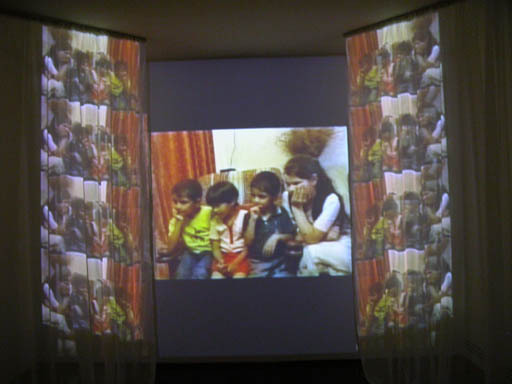 A key image in LivingTomorrow is the headscarf. 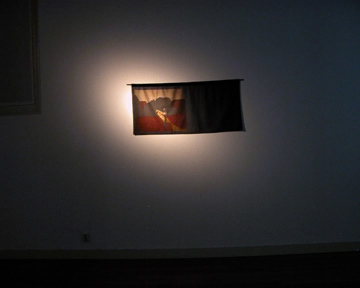 It also appears in a previous work, entanglements (2004) which draws on news broadcasts of the war in Iraq and the _war on terror_. 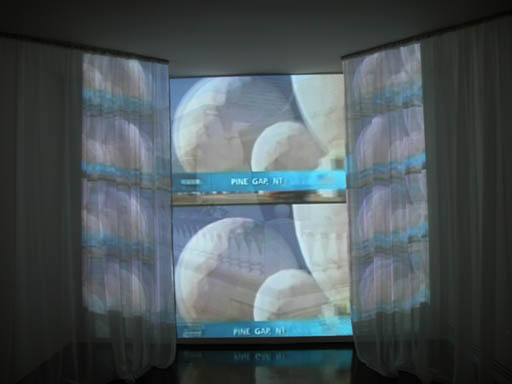 In the exhibition at Montevideo, the screen is partially veiled by translucent white fabric. 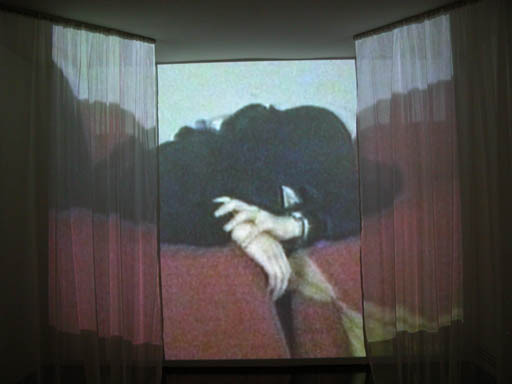 It is both a curtain and a metaphor for the layers of interpretation that lie between us and the documentary footage on the television screen. 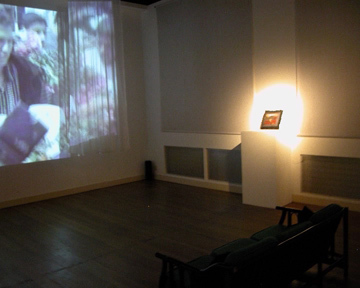 Silk pillows and a silk panel are also included in the installation, and viewers are invited to sit on a domestic couch to view the projection. 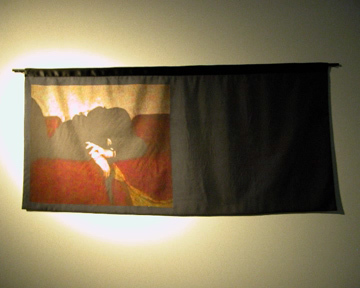 The silks are printed with video stills, amongst them the black-clad female terrorist collapsed on a seat after the military stormed a Moscow theatre in late October 2002. 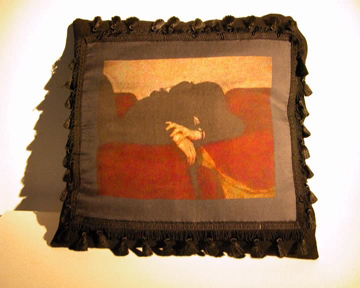 Like an icon, the pillow is located on a high shelf. The application of this image to a domestic item, and its relative stillness in the context of the televisual _noise_ on screen, renders it all the more harrowing. 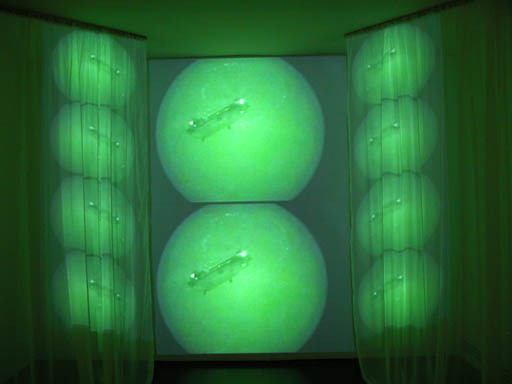 from Victoria Lynn's essay on the LivingTomorrow installation, March 2005.